Posted by Patrick on December 4th, 2014 in How Should I Participate? When I published some examples of companies engaging in forums they didn’t own, I came into contact with David DiGiovanni of GroupSRC. They focus on helping companies engage on reddit. Dave had some great examples of organizations doing just that, and I thought it would make for an interesting guest post. Continue reading for insight from Dave. I was excited to see Patrick writing about companies engaging in forums they don’t own. It inspired me to reach out to him on Twitter about companies doing the same on reddit. 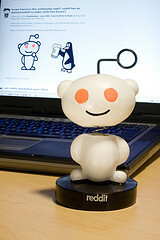 Reddit is essentially the biggest forum on the web, and many companies have realized the value in monitoring reddit for mentions of their brand name. In the spirit of Patrick’s post about forums, I drummed up a few examples of companies engaging on reddit. Just like forums, reddit is a valuable place for companies to find communities related to their brand and learn more about their customers. /u/MajorNelson is Larry Hryb, Xbox Live’s director of programming. He has been involved in the creation of every Xbox gaming console. MajorNelson has been a redditor for over 5 years, but his activity on reddit became particularly notable before and after the launch of the Xbox One in 2013. It was not uncommon to see MajorNelson posting an announcement to the XboxOne subreddit or responding to threads and comments made by other users. Here are some recent posts that show how MajorNelson engages in Xbox related subreddits. MajorNelson responds with a simple “Yup,” letting everyone know that their team is working on a problem with the Xbox One dashboard loading times. A customer complains about his experience with Xbox support. MajorNelson responds that it is hard to assess the issue with the information provided and offers his own email address to get the issue resolved. MajorNelson takes a moment to let the community know he is reading the comments on a thread and enjoying them. As you can see, MajorNelson considers reddit a critical place for him to engage with his customers. Not only does he listen to the community to learn what they want and where they are experiencing pain, but he has formed a solid relationship that he can leverage when he wants to announce something or ask the community a question. /u/HauteLook_ is the reddit account for HauteLook, a “place where you’ll discover thousands of the top fashion and lifestyle brands at amazing savings.” They recently decided to get on reddit and jump into conversations related to their brand. Before we look at some examples, I’d like to point out a key mistake they are making. It is important to communicate on reddit as a person. Haute Look has decided to communicate as an impersonal brand. This is going to give them a slightly uphill battle every time they post. It would have been better to pick a person on the Haute Look team to represent the brand on reddit and give them a username like /u/JaneFromHauteLook. HauteLook_ posts a “PSA” about an upcoming promotion. The post gets removed for spam. HauteLook_ promotes upcoming events on a “Weekly Dealz” thread, and their comment is well received. HauteLook_ adds a subtle promotion to a “Random Fashion Thoughts”thread, and their comment gets downvoted. HaunteLook_ is still learning to navigate the reddit space, which makes them a great example to learn from. In addition to the username issue mentioned above, HauteLook will have a hard time establishing a reputation on reddit because they are engaging in multiple subreddits. This is not a mistake on their part, but they should recognize that every post and comment they make will be evaluated on its own merit and, therefore, must contribute value to the community. /u/bitpay is the reddit account for BitPay, a business that helps businesses accept bitcoin as payment. Participating on reddit is a must for BitPay. The Bitcoin subreddit has over 143,000 subscribers and is one of the biggest discussion platforms for the bitcoin community. BitPay assures users that they have taken care of a serious glitch that was causing problems with another popular Bitcoin service. BitPay holds an AMA (Ask Me Anything) to answer questions about their service and announce a new feature. BitPay responds to an unfriendly comment about their support for the Bitcoin Foundation. BitPay is a company you can model your reddit strategy after. They respond to just about every mention of their brand and then leverage community to make important announcements and gather feedback. The differences between the reddit strategy of MajorNelson and BitPay vs. Haute Look are subtle, but important. Like any platform, there is a learning curve, but reddit is especially unique because you get extra feedback on every post or comment you make through the up/down voting system. Companies that learn from their mistakes and focus on contributing value will find reddit is a valuable platform for connecting with their customers.